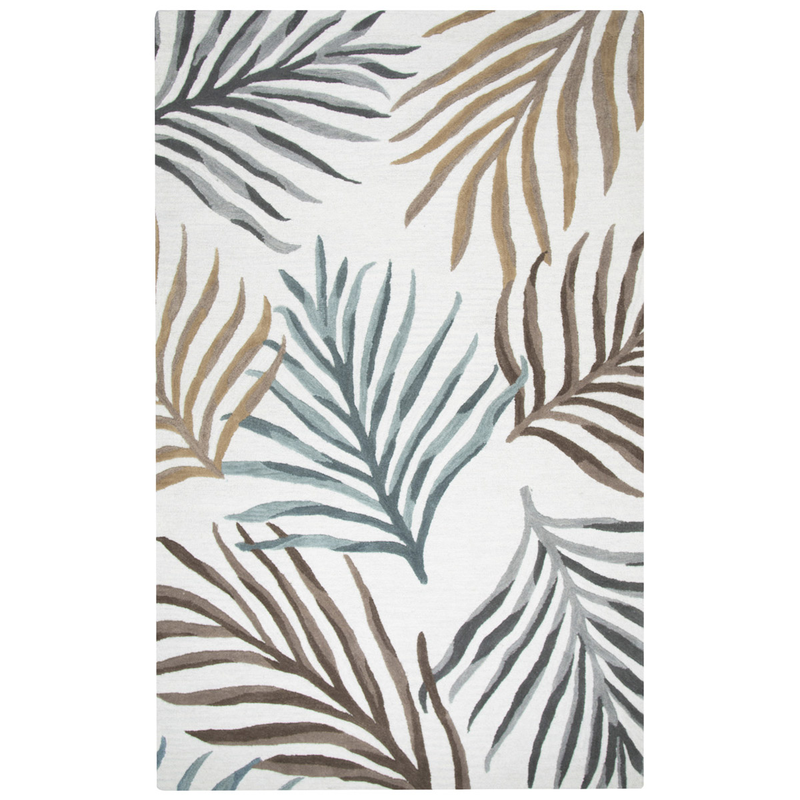 Make a statement in your sunroom with the Bayside Palms Rug - 5 x 8. This nautical area rug features an all-over tropical leaf design in brown, taupe and aqua on cream for beachy style. For even more items, we invite you to take the opportunity to view our comprehensive range of coastal area rugs at Bella Coastal Decor now.